Grab the camera - forgetting to put on good walking shoes. Walk quickly to the base of the waterfall - swearing at the first sign of mud. and then back to the car. Having driven the entire Ring of Kerry in under a day I can't blame people for wanting to get back to their accommodation as quickly as possible. But this kind of rapid sightseeing will easily leave you underwhelmed by Killarney National Park. In reality the park offers many great, easily accessible options for visitors to discover the true beauty of Ireland. All it takes is for people to snap out of their sedentary ways, remember that they still have the use of their legs and to just get out there. 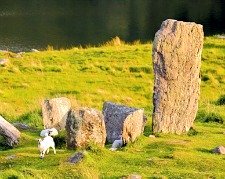 I hope these help encourage visitors to County Kerry to spend a little longer in this beautiful, ancient landscape. Some biased advice from a guy who came to County Kerry on holiday and ended up staying two years. 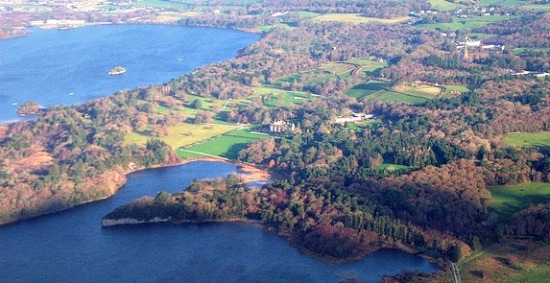 Spend a minimum of three days exploring Killarney National Park and the Ring of Kerry. If you can stay a week I guarantee you will return home HAPPY! Too much excellent local food and drink to enjoy in just one day. 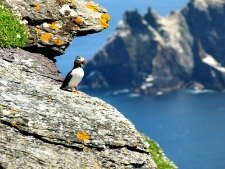 Click here for more Ring of Kerry day trip ideas. From Killarney head south on the N71 towards Kenmare. The car park for the waterfall is situated 4 miles south of Killarney and approximately two miles after the main entrance to Muckross House. 1) The Water fall - Allow 20 to 45 mins. The base of Torc Waterfall is just a five minute walk from the car park through a beautiful green, mossy forest. At this point if you are lucky enough to visit after heavy rainfall you will be getting a little damp from all the mist as you face an impressive, raging cascade of water which drops over 70 feet. If you are in a hurry you may be satisfied to just enjoy this cascading water for a few minutes, take a couple of photos and then head back to the car again. In this case this short walk provides excellent rewards for little effort. Unfortunately if you are visiting during a dry, sunny spell you may feel a little underwhelmed at this moment - the word ‘waterfall’ may seem like a pretty serious exaggeration! 2) The Viewpoint - Allow an extra 30 mins. The sun is shining so use this as a great excuse to head on further. There is plenty more to see up ahead. Follow the path up a set of steps and it will take you to a viewpoint at the top of the waterfall. The path is still heavily wooded until you reach the top when the summit of Torc Mountain becomes clearly visible. Congratulations you have just emerged from Friars’ Glen. This wooded glen acted as a hiding place for the friars of Muckross Abbey during raids by Cromwellian soldiers. This is a great place to take a short break as there are the first excellent views back towards Muckross Lake, Lough Leane and Killarney Town in the distance. From here you can return the way you came or continue on to the car park via the sign posted loop walk. The second option is my favourite. 3) Torc Mountain - Allow 2.5 to 3 hours. This is a great way to extend a short walk into a pleasant afternoon. It is not a serious hike unless the weather turns - so check the forecast and prepare appropriately. The route up from the viewpoint at the top of Torc Waterfall is well signed and runs mostly along the old Kenmare road before it turns right up to the summit. Here the path becomes a boardwalk. The total distance for the walk is approximately 8 km and the views across the lakes and Muckross House from the top of this cone shaped mountain are spectacular. 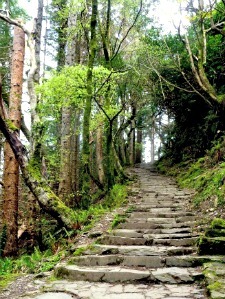 4) Muckross Lake Loop Walk - Allow 5 to 6 hours. This final option is predominantly a walk through the Muckross Estate. 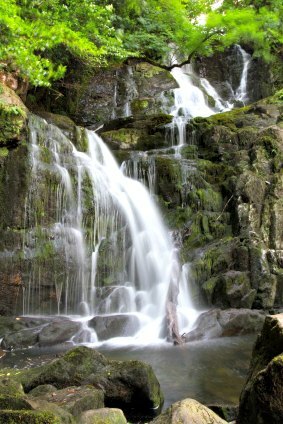 But the Torc Waterfall loop is an essential addition to this iconic walk. Starting out from Muckross House the path which is well signposted takes you around Muckross Lake via Dinis Cottage and the Meeting of the Waters. At this secluded spot the water from all three of the Killarney lakes meet. The old weir bridge is also a beautiful highlight of the walk. Total distance including the additional loop walk is 20 km. Click here for a link to a map of the walk.